Demand for Japanese car brands has risen 38.2% over the past five years, while at the same time UK production of cars for the Japanese market has risen 34.5%, according to figures released by the SMMT. Japan now represents the UK’s sixth biggest export market overall, and the second biggest in Asia, after China. SMMT reports that the top ten British-built best sellers in Japan are the MINI One, MINI Clubman, Honda Civic Type R, followed by the Range Rover Evoque and Land Rover Discovery Sport. The British-built Toyota Avensis is next, ahead of the Jaguar XE and Range Rover Sport, with the Jaguar F-Pace and Land Rover Discovery rounding out the top 10. The UK automotive market is now the EU’s second largest, after Germany. 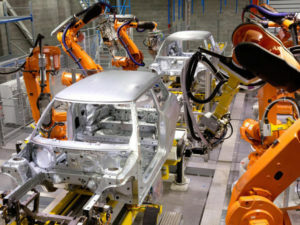 Japanese-owned UK-based manufacturing plants account for 47.7% of UK car production and export the world over, including back to Japan.For more of the latest industry news, click here.